Now you can successfully send Bulk SMS from your mobile phone using a new and innovative app that lets you send bulk SMS in Nigeria. The app was developed by Cybergold Integrated Solutions, an ICT company based in Benin, founded by Efosa Edokpolo. Bulk SMS in Nigeria has become a very popular trend as it makes it possible for individuals and organizations to reach a larger number of mobile subscribers at a time, at an affordable cost. Now with the help of the GoldSMS application available on Blackberry, iPhone, Android and Nokia smartphones, you can send those bulk SMSes with ease from your mobile phone. The app provides an alternative way of solving basic SMS needs while on the go. 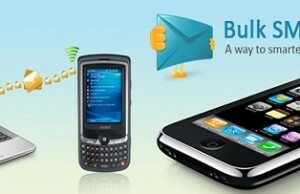 With this app on your phone, you don’t need to get on the internet anytime you want to send a Bulk SMS. The simple design and integration with your phone book makes sending and replying to messages much easier. You can also download text files containing multiple phone numbers to your handheld device and use the BULK command on the app to send the message. Other likely features coming soon are display of contact pictures for a conversation and extra customization options. The app allows you send SMS to friends and contacts in your phone book. You can also import a text file containing destination numbers from your phone, save them for reuse later. The app lets you schedule messages to be sent later at a specific time, whether you’re online or not. With its cool search functionality, you can search for sent messages by date. With the app, you can receive delivered reports in a specified e-mail address. This is quite an amazing application and a unique boost to the growing Bulk SMS market in Nigeria. 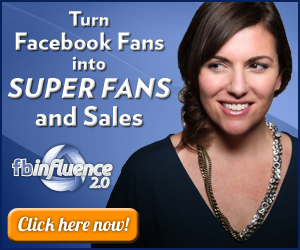 I reckon that it helps small businesses and marketers reach a wider audience. However, if only bulk SMSes can be geo-targeted to a particular location or demography, it’ll add more value. Perhaps that’s a feature that GoldSMS and other future apps should be looking at in their next versions. If you need more information, tips and tricks like this one and more, you should subscribe and become part of our RSS or Email Feeds readers. Or you can become my fan on facebook through www.facebook.com/jadesojiadegbulu or my follower on twitter. Feel free to ask for help when you need it. To do so, make use of the comment box further below. I will respond to them. Make sure you don’t spam. You are free to share this information with all your friends that you know would need this. So, how is it different from simply sending text messages to your contacts?